The dispenser is a device that receives dust and other loose materials from filters, cyclone, dust collectors and silos. In this case it acts as a rotary lock. After a precise determination of the operating parameters and selection of the correct drive, it can also act as a dispenser for dispensing a fixed amount of material. 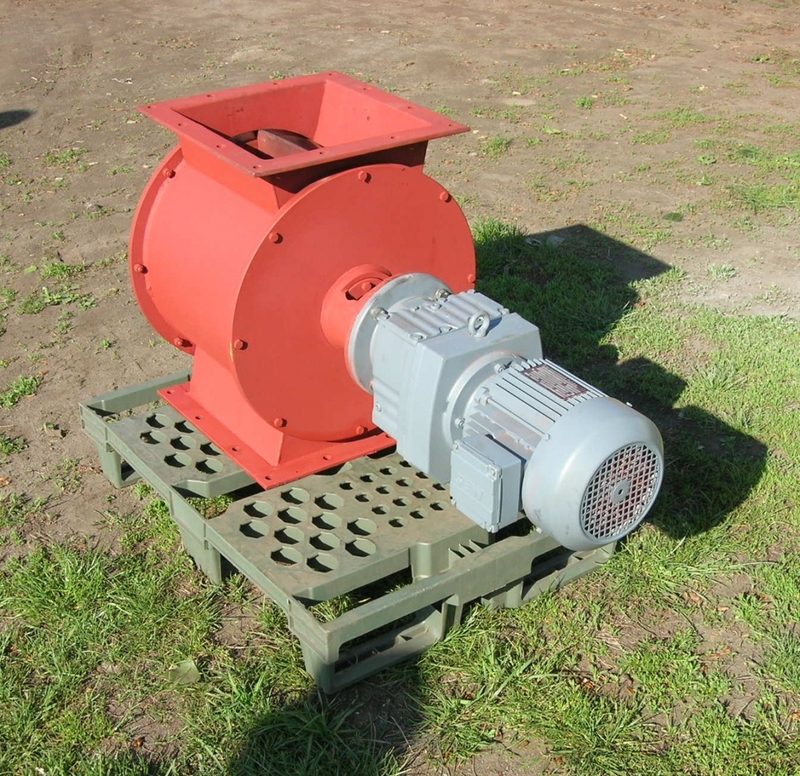 A rotary valve consists of a stationary body, in which a rotating impeller with 6 or 8 blades is placed. The blades can be made of steel or finished with rubber pads. The impeller with blades finished with rubber pads is applied when there are larger pieces (particles) in the dust which could block the impeller. The dispenser can also be present in the cutting version. In this case, the blades are mounted on the rotor obliquely and are ended by sharpened blades that act as knives. Each standard rotor is equipped with side sealing discs. 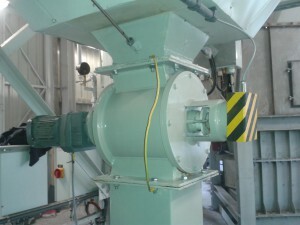 Such a solutionalmost completely eliminates the possibility of dust contact with the side parts of the dispenser body. This ensures a long life service of the dispenser and additional sealing. 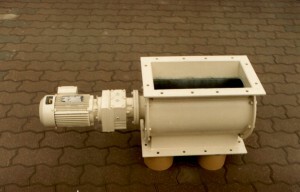 The inlet and outlet are ended by a round, square or rectangular connection flange depending on the customer’s requirements. 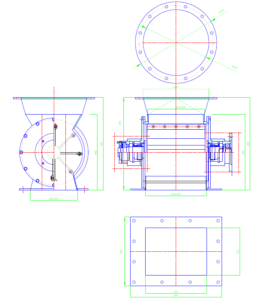 All dispensers can be produced from ordinary steel or stainless steel. In ATEX version Zakład Techniki Odpylania produces DG 200 x 200 dispenser and DG 300 x 300 dispenser with inclined blades and cutting knives. The DG 200 x 200 and DG 300 x 300 dispenser in the usual version are made with straight, slanted blades and cutting knives. 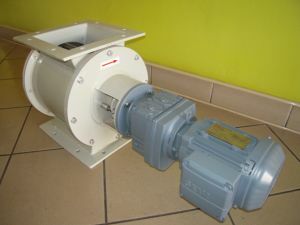 The DG 300 x 300 dispenser can have a larger outlet: 300 x 335 mm. The DG 400 x 500 dispenser is made of abrasion resistant domex steel without faceplates and has 8 rubber paddles. 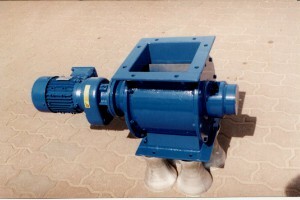 The capacity of such dispenser is 85m3/h. At customer’s request, Zakład Techniki Odpylania can make a round inlet of the dispenser (without the possibility of a round outlet). It is also possible to order a dispenser in other than listed dimensions.